Does the Honor 10 have what it takes to win you over? Huawei's sister brand recently introduced its new high-end smartphone, the Honor 10, in China. It follows the very popular Honor 9 and shows different signs of evolution. The smartphone promises to be particularly convincing, but does it live up to your expectations and high hopes? Some design elements are hard to miss, and for the Honor 10, it's the colors of the eccentric vertical gradient variations. Also found on the Huawei P20, we're sure there are fans of these fun color combos out there. But, if they aren't to your taste, Honor still offers deep black and silver gray models. And whether you pick a more tame color scheme or a wild one, all of the devices reflect light beautifully. Honor also decided to add the notch which found its fame in high-end smartphones recently. Love it or hate it, the notch is there because the masses must be demanding it. If you hate it, it should be possible to hide with a software solution, just like on Huawei's smartphones. Honor has kept the headphone jack, which is good news and contrary to what Huawei has done by wiping to from its spec sheets for good. No triple camera here, that's reserved for the Huawei P20 Pro and there's no competition in sight. The fingerprint reader is on the front under the display, which is quite a fun change since Honor/Huawei used to put them on the back side, unlike Samsung which put them on the front. Now the tables have turned. In the end, you might just use the Honor 10's facial recognition system instead! Not surprisingly, Honor was inspired by Huawei for the choice of components. The pillars of the team are of course the Kirin 970 and 6 GB of RAM. There's also 64 GB or 128 GB of internal storage capacity to choose from. It comes with Android 8.1 Oreo and EMUI 8.1, the most recent possible versions of the system. The battery has a 3400 mAh capacity, and we will test the device to see if it manages to hold the road with a Full HD+ screen (1,080 x 2,280). At the rear, we find a dual camera based on the classic duo: color and black and white. Respectively, these are 16 and 24 MP sensors. 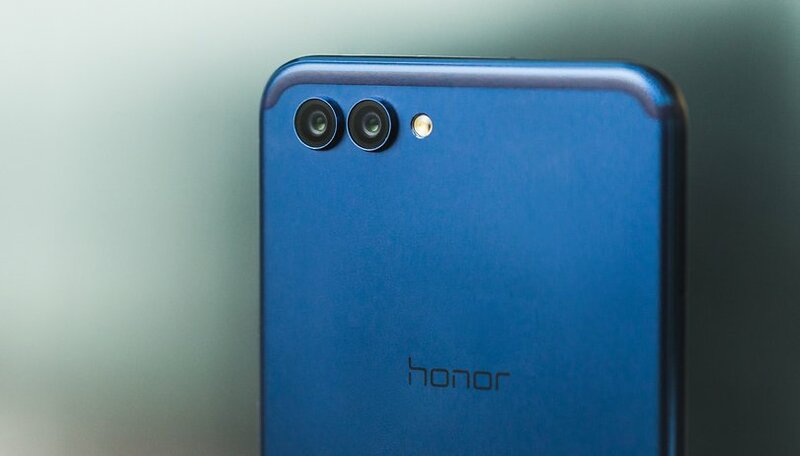 The camera will of course have to be tested, but if Honor has learned from Huawei, we can expect some nice surprises. Finally, there's a more than attractive price: the 64 GB and 128 GB Honor models in China will set you back 2600 yuan ($411) and 3000 yuan ($475). The price is still unknown in the US and Europe, but we'll keep you posted! What do you think of the Honor 10? The Honor 10 has a lot to offer, at a very affordable price. But is it enough to convince you? Will you buy the Honor 10? Honor 10 is a nice phone and I love the overall design especially the top notch and the full screen. The color is not that attractive to me, would have preferred something white or red. So Honor is a division of Huawei?????? ?